I am confident that this is not the first time you have read this quote from Albert Einstein: “If I were given one hour to save the planet, I would spend 59 minutes defining the problem and one minute resolving it.” At the same time, I am all but certain that someone in your life has reminded you that they are not interested in you bringing them problems unless you are ready to offer solutions. I know I used to hear it quite a bit and though I no longer hear it first hand, I do overhear juniors tell their subordinates the very same. Drives me bonkers! If the barrier to making someone else aware of a problem is to develop a solution that accompanies it, how many opportunities are we being prevented from collectively seizing? I don’t want teammates to focus on developing solutions, I want them to articulate their observations, to frame what they believe to be the problem, and to afford the collective the opportunity to solve it together. In fact, we recently tried an experiment at work where we focused on problems. We didn’t want people to pitch us their ideas, we asked them to pitch their problems. We recognize that is where all ideas start: with a problem. At the same time, we recognize that solutions are best developed by a team of diverse thinkers. The net result of our experiment that day was six properly framed problems, which are currently marinating within the proverbial 59 minutes as we wait for the final minute to solve each. 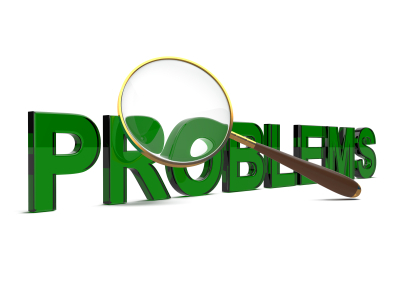 Leaders enjoy solving problems, so much so that we don’t spend enough time making sure that the problem is ours to solve nor do we always validate that the problem identified is the right problem. Sometimes we identify the root cause of a problem and rush to call in a swarm of professionals to solve it. Only to find out that we were wrong in the root cause assumption, failed to frame the problem, and jumped to solutions. Recently, one of my teammates did just that. He was doing his best to respond to the crisis as quickly as possible, made irresponsible assumptions, pointed responsibility for the alleged root cause in the wrong direction, and ultimately slowed the process. He failed to frame the problem. Though the world in which we live is moving faster than ever and therefore requiring us to act swiftly, introduce a beta, and learn as we go, that’s not always the responsible course of actions. Many times in life, the speed of response is far less important than the precision of response. Some of us remember Betamax, Friendster, and Palm. Each was first to market and each is no longer part of our ecosystem. They are gone because they didn’t frame the problem effectively and, though their initial solutions were good ones, they were unable to evolve as the problem set did. I make it a point to frame opportunities and to afford others the opportunity to solve them. I am a big fan of the OODA Loop. I like to individually Observe (Identify the opportunity), collectively Orient (frame the problem), collaboratively Decide (pick the solution), and collectively Act (visibly, synchronously, and deliberately act). It’s more than OK to bring us your problems even if you don’t have a solution, and often times especially because you don’t have a solution. Are you focused on solving the right problems? Are you holding your team back by demanding they identify solutions before they present their problem? I can remember bosses getting worked up when I would present a problem as an answer to why something didn’t happen. At that point the problem just becomes another excuse, and really nothing gets solved. But no junior wants to present a straw man solution to a problem and watch it get kicked to death by others in the organization who think they have “seen it all,” and no junior person wants to look bad in front of the boss. The gifted leader is the one who can help the junior find the flaws (if any) in their solution, and who can grow a group of idea people around their organization without turning to micromanagement to get things done. Well said, Senior! The key is to be the gifted leader you describe and create an environment where juniors know they will be afforded every opportunity to be a part of the solution even when they can’t come up with one on their own.